Prerequisites: Completion of Foundation Skills at When Hounds Fly. We regret that we no longer accept students from other schools, even if they are clicker trained. A dog that’ll be the life of the party wherever you go! A training challenge for both you and your dog – your capturing and shaping skills will be put to the test! Foundation skills that lead to many other paths such as Canine Freestyle or Disc Dog. Dogs that already know basic versions of these behaviours may work on more advanced versions, focusing on enhancing precision, latency, and speed, and introducing duration and distance, or cue minimization/transfers to verbal cues. For details regarding class/training policies, please see our Policy page. 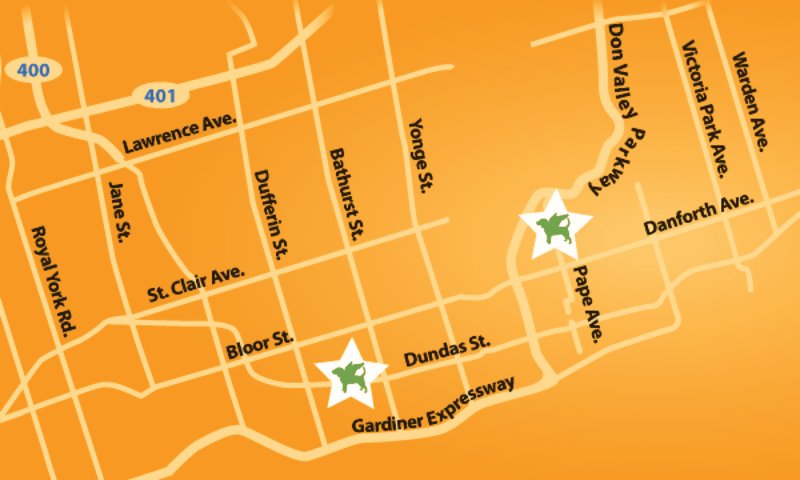 We offer Tricks Class periodically both at our Dundas West and Pape Village locations. Forthcoming sessions are detailed at our online store. Purchase the program at our Online Store. Please note, once the classes are sold out, they’re sold out!